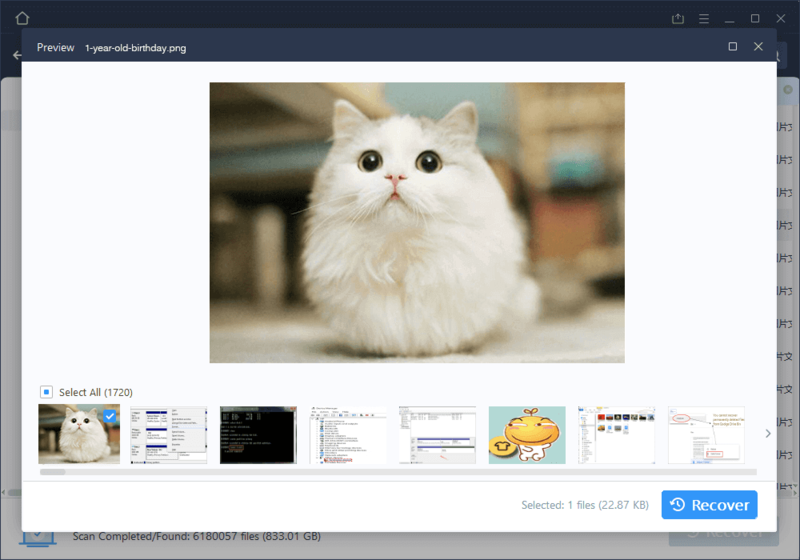 Deleted, formatted, lost or inaccessible your important files? Don't Panic. Get data back from various storage media Completely & Easily. Fully compatible with Windows 10. Download now and free scan to see if it works. "The software works as it says...it's the best and easiest I have ever used." "100% restore my 970 gb music, photos and home video"
Accidentally deleted important files? No panic. It recovers files deleted by "Shift + Del" or from emptied Trash Bin, with their original names. Easily recover all data from accidentally formatted or reformatted hard drive. Get data back even if disk displays as RAW or Windows asks "Media/Drive is not formatted, would you like to format now?" 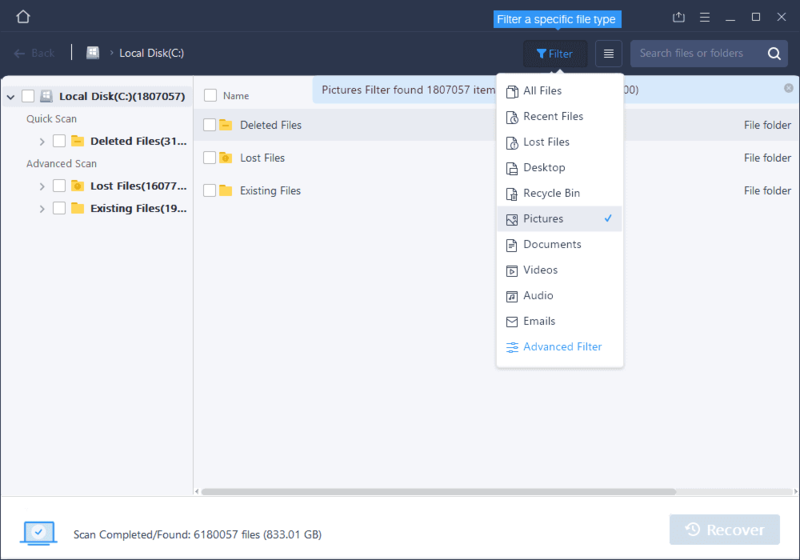 Retrieve files from damaged, corrupted or inaccessible hard drive or other storage media. It can also restore data from deleted or lost hard drive partitions. Get lost data back from system crash or reinstallation, factory settings, virus attack or unexpected power failure, card not initialized or card cannot be read. etc. Recover documents, photos, music, video, archives & emails: DOC/ DOCX, XLS/ XLSX, PPT(PPT/ PPTX ), PDF, TXT, JPG, JPEG, PNG, GIF, BMP, TIF, PSD, AVI, SWF, MPG, MP3, WAV, ZWIP, DMG, PST, etc. Pause and restart the scanning process later when you have time. And preview your lost files in advance during the scanning process whether the file is the one you want to recover or not. Canon/Kodak/Nikon/Sony Camera, Music/Video Player, Floppy Drive, Zip Drive, etc. "I love...EaseUS Data Recovery Wizard, it saves you Grief, Data and Money! Thanks a lot for providing such a masterpiece!!" 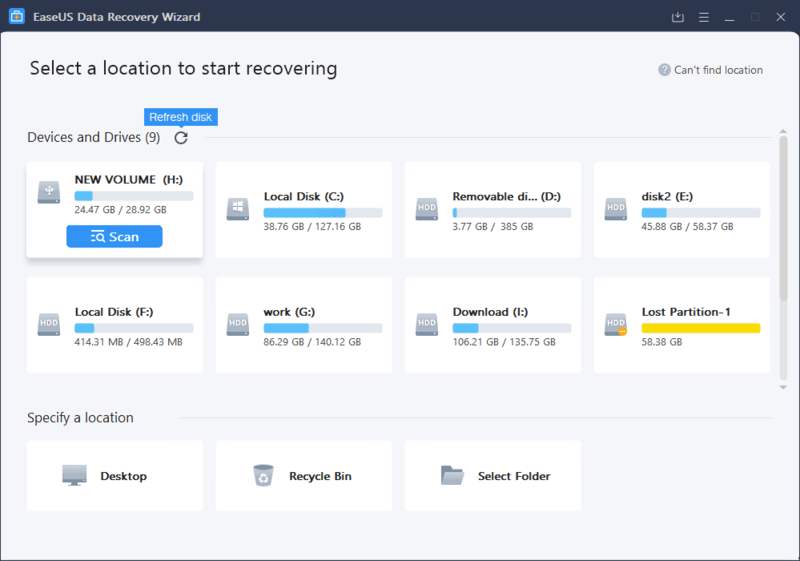 Data Recovery Wizard by EaseUS is an easy to use, straightforward solution to recovering lost data and files...We are impressed with the performance of Data Recovery Wizard! Data Recovery Wizard presents itself as a more or less all-round tool...We love it!!! Download now and free scan to see if it works. Successfully help millions of users recover lost data. Copyright © EaseUS® Software. ALL RIGHTS RESERVED.